i have downloaded and extracted the BIOS and everything ran well no freezes or anything. It was when a few shutdowns later ( next day) i turned off the laptop and reopened it. I entered password and now it's just a black screen with my cursor (able to move it) . Does this mean i did the process wrong? 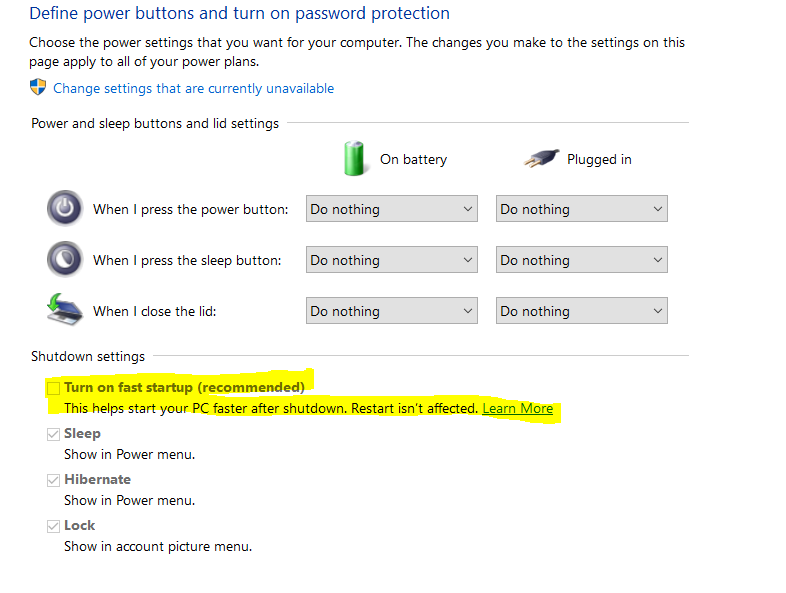 Whenever you get your windows up, go to power settings and disable the "quick startup" option. This seems more like a display adapter/connection issue. If you are under warranty, I would suggest showing it at Acer warranty center. Also, try connecting an external display and see if that works fine, or if that too has issues. Hey all! So I just bought this laptop a few days ago and the freezing started appearing today while playing PUBG. I updated all the drivers, uninstalled anti-virus, disabled Xbox Gamebar and uninstalled GeForce Experience as some people have suggested as a fix. I found this thread and downloaded the latest Bios update. After it rebooted the screen went completely black. I can’t see anything at all. I have tried rebooting several times with the power button. Any suggestions? Replacing it through warranty is going to be difficult as I bought the PC in Norway and I just moved to England. Try using Fn+F5 to switch between displays. Try connected external display. Try increasing brightness. Try using Fn+F6 to turn screen on and off. See if any of these help. Latest bios update... are you 100% sure you flashed the correct bios, and that it completed 100% successfully and rebooted itself? Bios update ends with a system reboot. Thanks. I managed to install the bios update properly. I just had to wait an awfully long time for the screen to come back on. The update had no impact on the freezing issues I’m having with the laptop. It still freezes after about 4-5 minutes after I start a match of PUBG. I can’t to press any buttons when this happens and I have to reboot it by holding down the power button for a few seconds. I thought the bios update was supposed to fix this? What are the temperatures when this happens? That would appear to be a display driver issue. Are you able to login eventually? There is a setting in security for windows to enable that makes it so you have to press cntrl+alt+delete before the login screen comes up.. and it sits at a blank screen otherwise. Might be worth a shot. Any updates from ACER regarding this problems? So I had the black screen last night where I rebooted my system the back light goes on but nothing happened. Pin hole did nothing and taking put the ram stick, it didn't work instantly but I got f2 as it started the 2nd time after trying fixes and it worked. So I thought wow I'll install the new bios. I started the install process it reboots to do What it needs to do and.. Oh guess what since it had to reboot I'm now back on the black screen it's been 10 mins and no resets no fan changes. It's not updating the bios. I'm afraid to even touch the ***** thing now. It seemed like original it hanged because I was trying to start the bios, I was looking to see where the hell my 1T drive went too. So is there any fix regarding all this problems? I just bought one 2days ago. @OEvans Try flashing the BIOS from a USB stick, making sure this time that it's plugged in and no chance of power loss or even fluctuation. 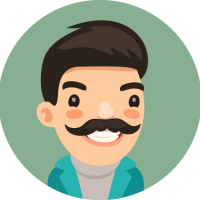 There are guides for preparing a BIOS flash drive with rufus or other boot disc creation tools that you can follow and retry. Please report back on how it went. I had the same issue, updated the BIOS and never had any issues ever since. Message here with any roadblocks or hiccups you encounter. @Lando Yes, BIOS update. Just make sure you don't have a power outage or fluctuation and you read up on how it's supposed to go. 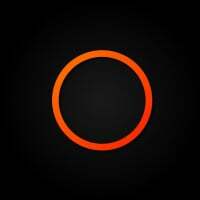 It WILL make your fans spin like crazy on max speed while flashing. It WILL stay silent as if off for more than you may expect. Know at which stage what is supposed to happen and don't turn it off & on midway through. Other than that it should go smoothly and fix the black screen issue as it did for me. Also both @OEvans and you should then upgrade your graphics drivers and cpu drivers to latest (as the PCU has a GPU as well...) and some amount of black screen / screen flicker issues i had may be attributable to that angle of fixing. But definitely first and foremost update the BIOS. Also, Guys: Can't recommend undervolting and reapplying thermal paste enough! It's been HUGE for me. I just did over the weekend with the summer creeping up with warmer temperatures, as a preventive measure and BOY am I GLAD! @OEvans actually...this may be more serious...with a partial BIOS update...you still MAY be able to flash one onto it but there's a chance that the chip is bricked... I found this, specifically for this kind of case. Can't confirm if it works or not (thankfully didn't need to try) but you can try following these instructions? 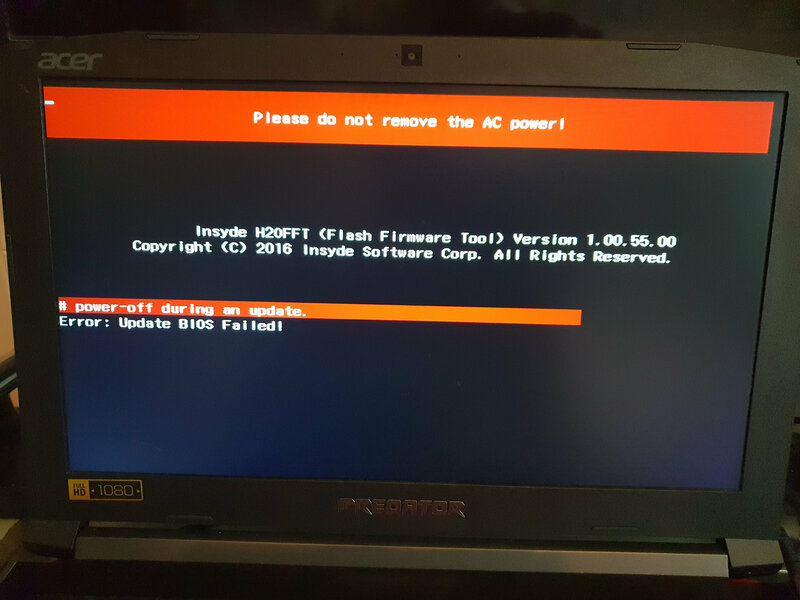 IF you can get a basic, recovery level BIOS flashed onto it from ACER that may be compatible with any of their bios chips, then it should be a breeze flashing the latest appropriate BIOS onto that. DO make sure you have the same make & model than what BIOS you started flashing. I'm thinking if it may not have been a power outage or fluctuation, you want to avoid the issue being incompatibility..
Best of luck and if still in warranty you have that fallback. Hope it doesn't come to that. I'm super happy with my unit after all the tinkering and tweaking. I have a Helios 300 and the screen wouldnt turn on, theres no LED lights either. Any fixes? Hey @ChaseHelmey did you try with external monitor through hdmi or usb-c to test if it's a display issue or deeper? Do you hear fan spin? Or even windows turning on sound (assuming you have it installed prior)?